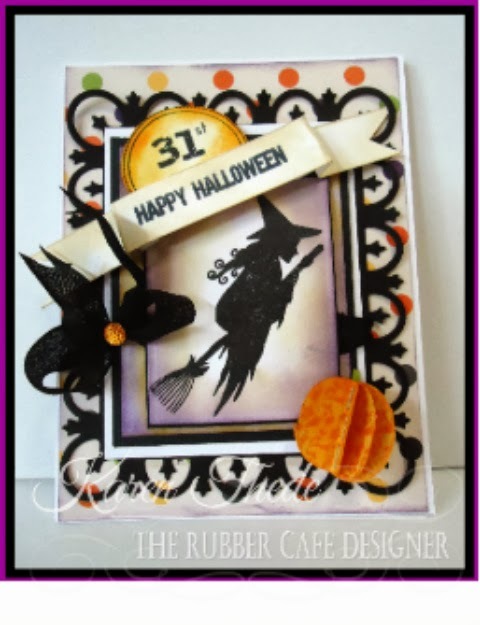 The Rubber Cafe Design Team Blog: One last project using the Best Witches - and sneek peek for October's Creative Cafe' kit- Fall Harvest! 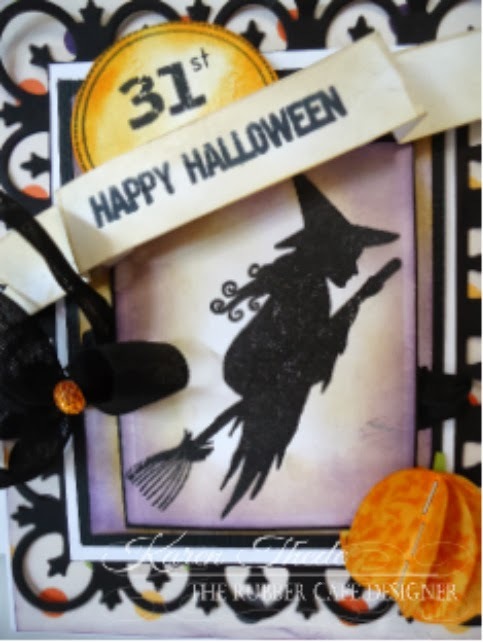 One last project using the Best Witches - and sneek peek for October's Creative Cafe' kit- Fall Harvest! Well September 30th is here, and I leave you with a final project from our Creative Cafe kit - Best Witches! This was one of my favorite cards, as it seemed to go together so easily for a change. It's a lot of layers, but that just makes it all the better! Check it out - I'm featuring that wonderful witch flying on her broom stick again! Just love this stamp set !! And the large polka-dot paper in the background is another of my favorite papers. Here's a closeup of the layers- you can see it was a series of white on black - and finally placed on the polka-dot patterned paper. 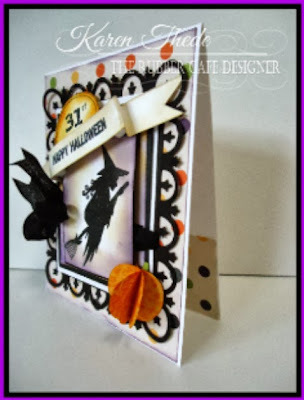 Here - you can see I finished the inside of my card with a strip of the same patterned paper. 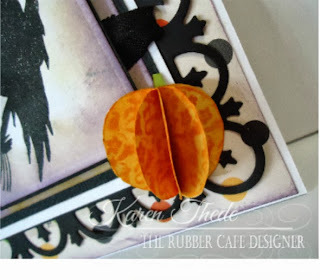 The fun pumpkin embellishment I created using the pumpkin stamp- I stamped it 5 times and fussy cut them all out, removing the stem. I flipped each piece and stamped the design of the pumpkin again so the pattern could be seen from both sides. I inked edges and both sides of the pumpkin as well. Using my score pal- I scored down the center of each pumpkin piece and with my mini fastener stapled them all together following along the score line. Fanning them out gave the the dimensional pumpkin you see placed in the Lower RH corner. I tucked a piece of green cardstock in for the stem. 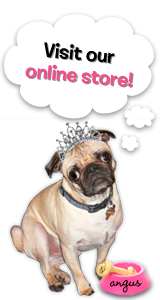 These kits are going fast so be sure to get your order in soon! 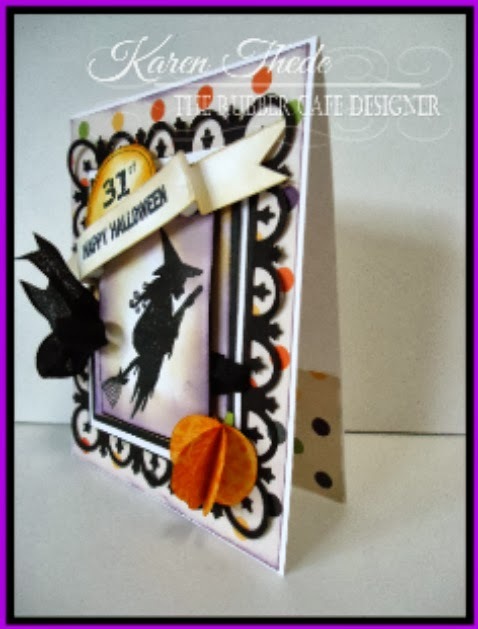 Love that cute little 3-D pumpkin!